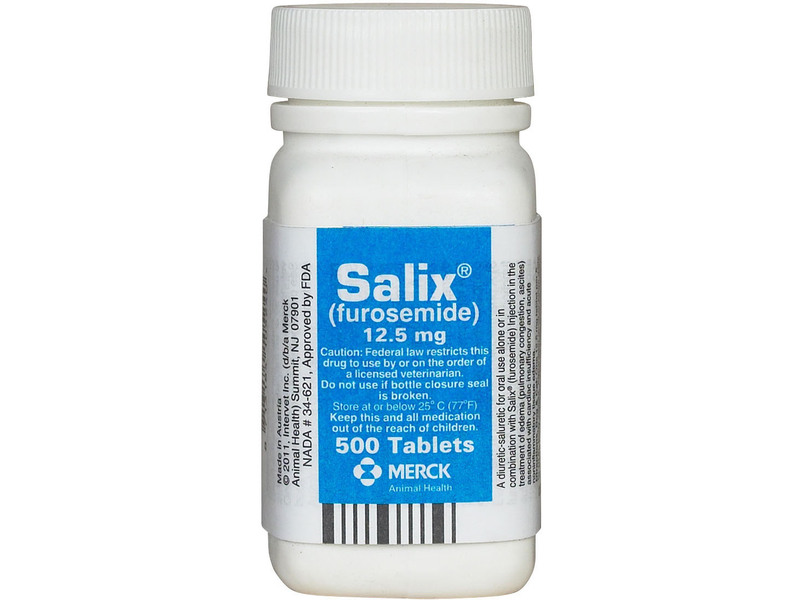 Salix (furosemide) is a fast-acting diuretic/salitic for prompt relief of edema for dogs and cats. Recommended for use in treatment of congestive heart failure, high blood pressure, and swelling due to excess fluid. 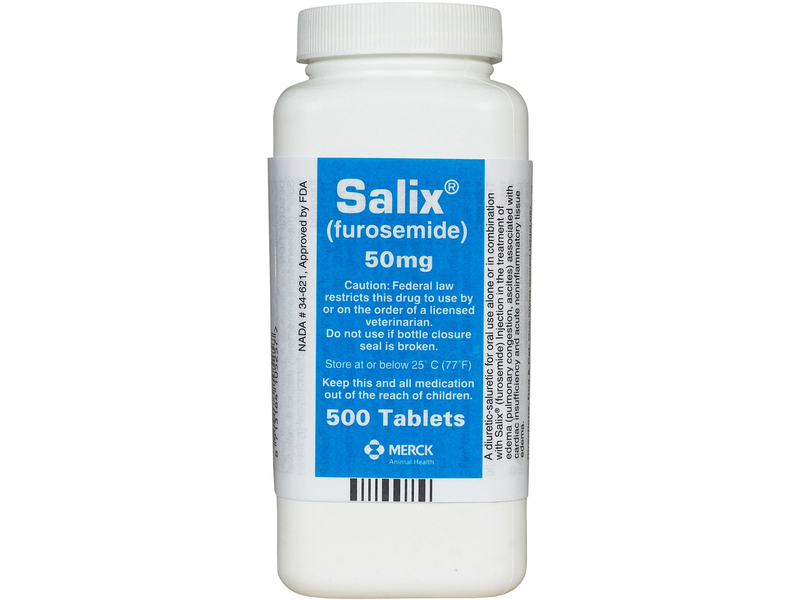 May be used alone or in combination with injectable furosemide. Take only as prescribed by your veterinarian. 50mg - One scored tablet per 25 to 50 lb. of body weight. 12.5mg - One scored tablet per 5 to 10 lb of body weight. Administer once or twice daily at 6 to 8 hour intervals. The dosage may be doubled or increased by increments of 1mg/lb body weight in severe cases.